Sometimes it’s hard to remember that the US Presidents are merely human too. We forget that behind that professional exterior, they are people just like the rest of us. Have a look at some of their most unpresidential moments. 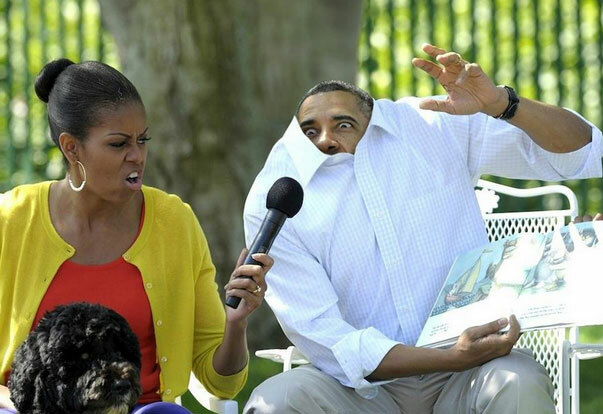 While reading a story to some children with wife Michelle, someone captured President Obama in this terrifyingly unpresidential pose. We’re sure the kids were amused though.